Priced right!! 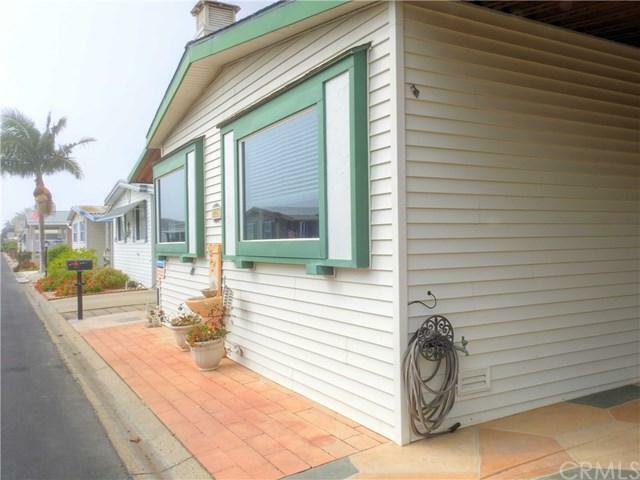 Rest assured, this home has been newly updated with a brand new kitchen featuring quartz counter-tops, stainless steel appliances and fresh paint. Brand new gas furnace just installed! 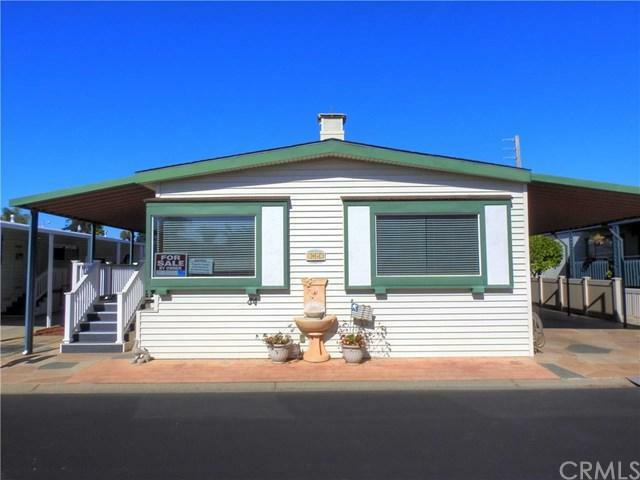 This larger double wide home features 2 bedrooms, 2 full baths, a welcoming, large living room, inviting dining room and well appointed kitchen with extra storage and convenient center island. Master bedroom features an en-suite bathroom with large soaking tub and spacious closet. An additional bedroom with large closet. New aged Hickory plank luxury vinyl water-resistant laminate flooring sets a warm natural tone and look throughout the home, no carpet! Freshly painted interior is open, very sunny and move-in ready. Dual pane windows with window coverings. Solar tinted windows, Very Low-maintenance landscaping. Customized multi color limestone effect in the driveway. Exterior fountain, Vinyl fencing and stairs. EZ access ramp for wheelchair accessibility. A large outdoor shed for ample storage. 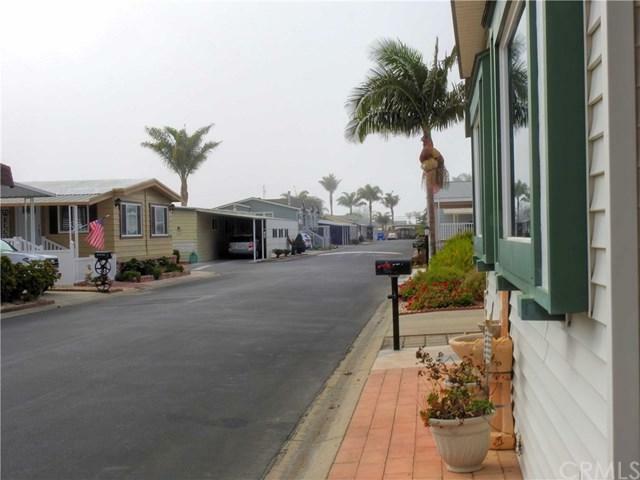 Its the highly coveted gated community of Pismo Beach Mobile Home Park! Includes a park ownership stock share. NO SPACE RENT. Only a MONTHLY PARK SERVICE FEE $135.00 & MONTHLY ENHANCED CABLE TV FEE $32.07 + Monthly utilities. Refrigerator Included. One Year Home Warranty. Park has exercise room, car wash facility, spa, swimming pool, clubhouse and hosts many events and socials throughout the year. RV Storage available at the park. 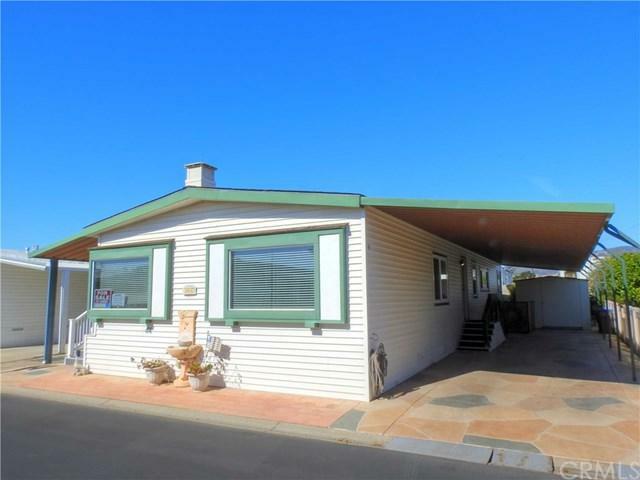 Pets OK. Only a few mins walk to Pismo Beach. Listing provided courtesy of Richard Aubery of Miramar International Inc.